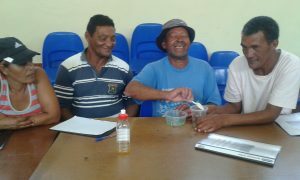 IOI-SA is the National Coordinator of the WWF-SA and TETA Small Scale Responsible Fisheries Training Project. 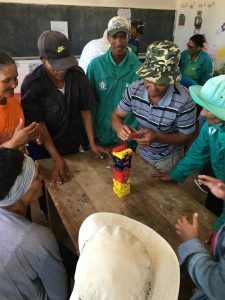 The project is designed so that a pool of members from small scale fishing communities are trained as trainers and empowered to deliver workshops to small scale fishing communities around South Africa. The workshops explain the Ecosystem Approach to Fisheries and responsible practices through a series of discussions, videos, interactive games and presentations. 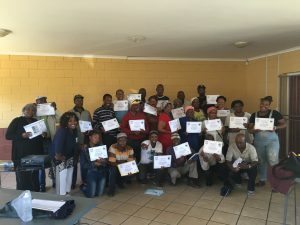 So far, training events have been conducted in Kleinmond, Gugulethu, Doringbaai, Papendorp and Hondeklipbaai and have reached in excess of 89 people. The goal of the project is to reach at least 850 people in small scale fishing communities throughout four coastal provinces over the next two years. To find out more, please visit the project website.